Email us a writeup of your last cruise and we'll send you a cruise voucher to discount your next one. 28 July 2014. "This was our first trip by boat and the excitement was unparralleled to anything we had ever taken on. We live in Kimberley NC and took the overnight bus to Dbn from Bloem. We arrived in Dbn and went for breakfast at The Workshop then we caught a taxi to the harbour. We were too early to check in but after a short wait were allowed to board and set off for the buffet lunch. Food of all kinds is wonderful for us. My self, husband and 2 teenage daughters. We loved the on board welcoming, the photos and the sheer adventure of finding our cabin every time we returned to it. Our daughters went off on their own to swim, or gym or explore as they felt totally safe. As mentioned we ate plenty and tried new things including some of the exotic cocktails. We attended the evening shows with line dancing and the disco. 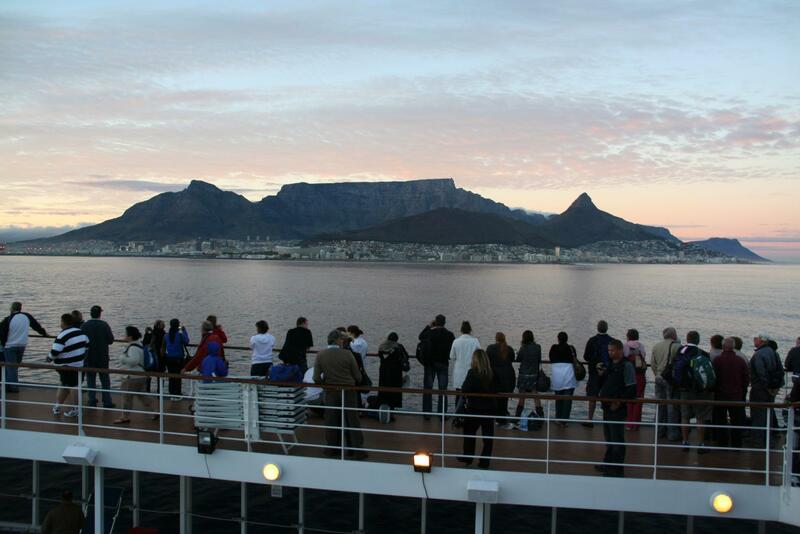 Coming into Cape Town we had bad weather and I was very ill, and 2 days after leaving the boat my daughter and I still had sea legs, but the experience was so great we are saving now for a trip to the Portuguese Island for early next year. Keep up the great work, crew, entertainers and management staff." LeeAnne Waddell shares her experience on the MSC Melody in 2012. 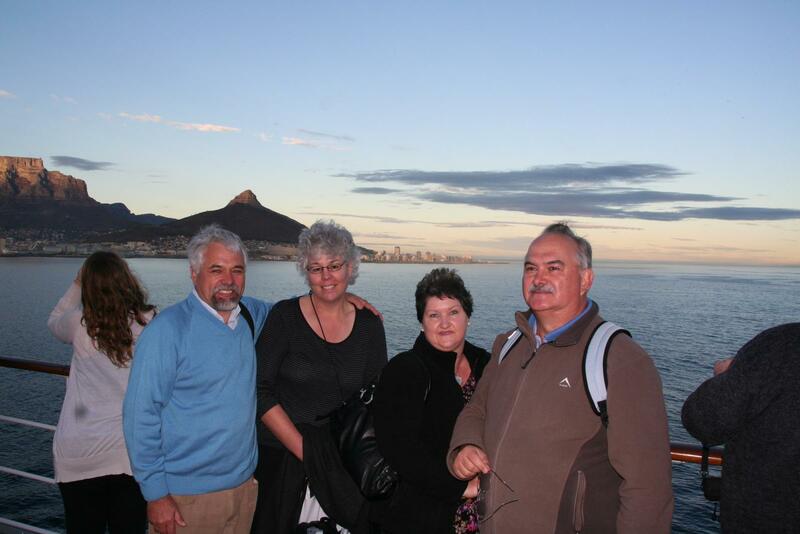 Published on 5 August 2013 : We had enough savings in 2011 to take the family of four (that's me, the wife and two sons) on the Sinfonia from Durban to Cape Town. Our holidays until then, mainly consisted of campsites or self-catering establishments. We all live in Cape Town and would fly up to Durban a day earlier and overnight there just to ensure that we do not miss the boat with unforeseen delays or other circumstances. I love travelling and actually get an energy load in meeting people and just enjoying the opportunity to relax and be served, pampered and spoiled to pieces. That's why you will not find me at the self-help restaurants on a cruiser, but rather in the lovely decorated and architecturally stimulating dining rooms. 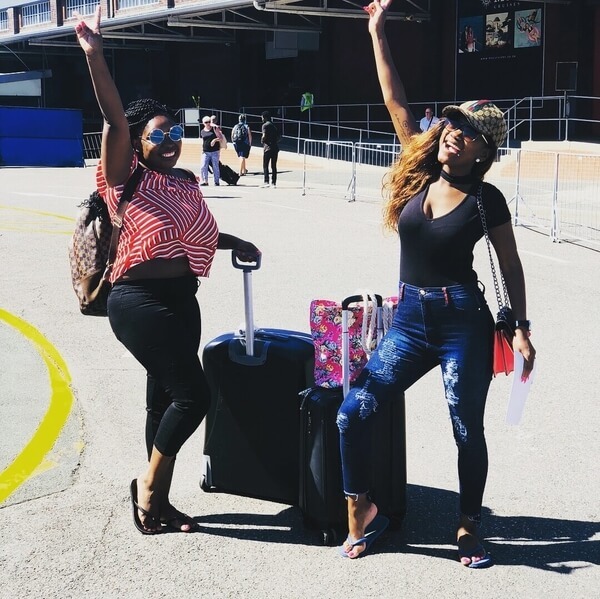 I kept the trip as a surprise to the family who were under the impression that we will be holidaying at a self-catering beach apartment for a few days in Durban and then return back home by plane. I was born in Kwazulu/Natal (Port Shepstone) and had not been back in this province since my parents moved to Cape Town in 1959. Our eldest son Rikus, a Bsc. student at University of Stellenbosch at the time, was unexpectedly and unfortunately scheduled for a re-examination within this already paid for excursion. The younger son, Herko immediately grabbed the opportunity to invite his girlfriend Erika as a replacement. They have since become engaged (shortly after the Sinfonia experience)…not sure if the Sinfonia had any influence on this decision? By now I had to disclose the well-kept secret to Sandra, (my wife), as I had only booked a single 4-bed-outside-cabin for the original group. Although we have known Erika for quite some time, the wife and I were not sure whether Erika would be willing or even be comfortable in sharing a cabin with her possible-future-parent-in-laws? We soon learned that Erika had the same enthusiasm and eagerness for travelling and that nothing was going to prevent her from participating on this trip. Her parents were quite happy to leave Erika (and Herko) under our discreet supervision. This was a first time sea-travelling experience for all of us and the excitement was overwhelming. The fortunate part now was that we had someone at home taking care of the doggies (two dachshunds) and generally taking care of the property and answering the landline business phone so that no potential business opportunity could be lost….my architectural design studio is home based. 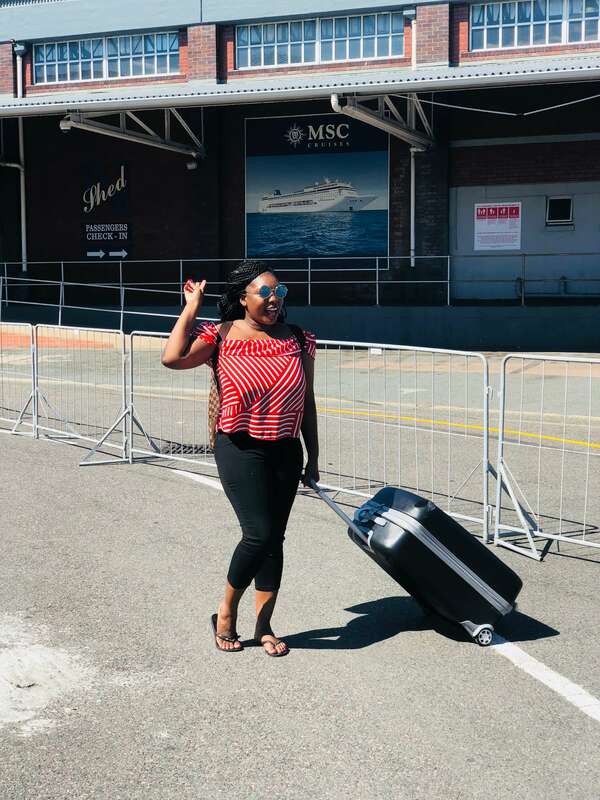 The moment we left, I had switched off my cellular phone, as nothing, but nothing was going to disrupt this long anticipated holiday. As I have already mentioned, just travelling itself is a great stimulating experience and energy absorbing affair for me and air travel has always been a special favourite. I have flown a few times (for business), but I probably still look like one of those nervous first time flyers whenever I board an aircraft and that is not because I am nervous or anxious, it is pure euphoria. This occasional contingency is always regarded as a privileged windfall when I get to do projects in the other provinces. The Kwazula/Natal landscape from the air was surprisingly beautiful. I was silently hoping that the control tower would request our flight commander to do a go-around due to air traffic congestion. Although CT has been awarded the best looking airport (and I am very proud of that, being a passionate Capetonian and staunch Stormers supporter), I would certainly qualify King Shaka International Airport as a very close competitor, in ambience and architecturally. Going through the custom and boarding process at Durban harbour, was a little like being scrutinized and registering as a rookie for army duties. The wife and I were concerned that they might ask us to undress as neither of us, do not look that good anymore in our underwear. When a custom official very kindly but firmly requested that the "would-be- passengers" must not consider or even think about taking any hidden alcoholic beverages on board the ship…I actually experienced the same thoughts when I reported for army duties at the Cape Town Castle, 35 years ago with the naïve thought of "why would anyone want to bring their own alcoholic drinks? ", surely this modern day cruiser have its own bars, wet bars, beverage bars and lounges. Would-be passengers were also advised to rather consider taking a rain cheque if they felt sneezie in any way. I was relieved that I took the time to take every one for immune booster inoculations at our family practitioner beforehand and coercing all in taking vitamin C supplements in almost overdose quantities. I could hardly sleep the first night, struggling to absorb the realities of the day's events and feeling the motion of this huge structure ploughing through the deep ocean waters with our professional seamen at the helm. The occasional shivering and very smooth rolling of this gigantic hauling carriage was absolutely exhilarating! We surprisingly bumped into acquaintances and friends (also from CT) during the trip which was great, but we also soon realized that you could meet some very interesting person or couple today and maybe never see them again due to the enormity of this luxury moving hotel. Our favourite lounge before dinners was the Manhattan Bar on the Beethoven deck where the music themes were absolutely head on of our cherished musical preferences (which are 70's rock). The artists were all exceptionally talented and entertaining. We were not sure where the other two "love birds" (Herko & Erika) found themselves most of the time, although we did bump into them at the pool bar and as a single rule of the day, asked them to join us for breakfast every morning. Since they are planning to get married this year in December 2013, I told Herko that he really has to be very creative for his honeymoon planning now as it would be very difficult to beat the Sinfonia experience. 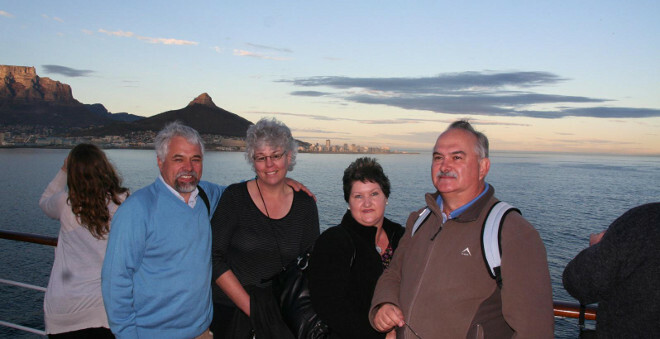 We arrived as scheduled 3 days later in beautiful Cape Town and although I have been a Capetonian for 53 years, I have never seen or experienced the aura of the mother city and Table Mountain as I did that very specific morning. It was a perfectly windless morning and as the city was in an awakening phase at the break of daylight, the tranquillity and totally wave-less sea surface, except for the small waves that the Sinfonia was pushing towards the harbour entrance, was an all indulgent moment of this incredible life time phenomenon. I felt so privileged to be an inhabitant of this amazingly beautiful city. Shortly after Sandra publicised our trip particulars on Facebook for our family and friends, a local church asked us if they could use this special photograph as a cover page for their webpage.